SDCC 2015: Street Fighter x G.I.Joe comic by IDW Publishing coming in 2016! YO JOE AND SHORYUKEN~!!! 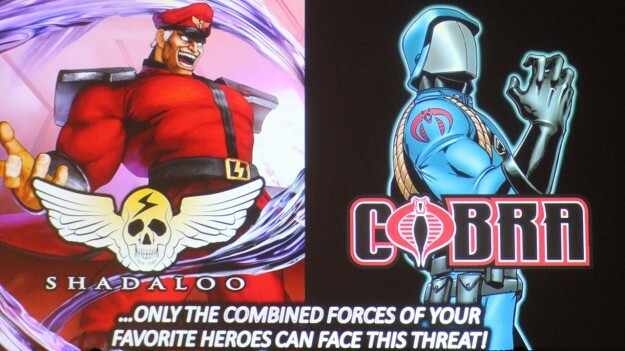 Looks like the Joes and the World Warriors are going to team up to take on Cobra and Shadaloo, as Capcom announced during its Street Fighter Panel in this year’s San Diego Comic-Con that an actual Street Fighter X G.I. Joe comic series is coming sometime in 2016 by IDW Publishing! While details were scarce and no word on the story was revealed, what was confirmed for the Capcom and Hasbro collaboration was that the series would run for six issues, with battles to be expected between some of the iconic figures of the dualing armies, such as M. Bison vs Cobra Commander! The other dream match combo teased was between Storm Shadow and Vega, so one has to wonder how The Joes and Street Fighters will contend amongst one another when the series hits next year. 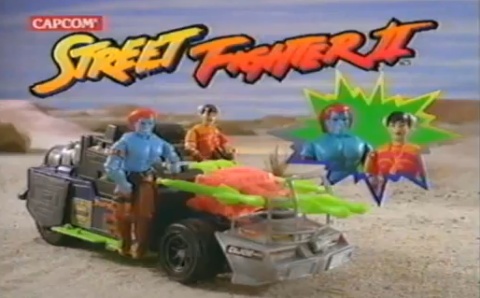 This crossover wouldn’t be the first time Street Fighter and G.I. Joe crossed paths, as back in the day when fighting games and arcades ruled the 90’s, Harbro and Capcom actually collaborated together to make toys and action figures based on Street Fighter and set in the G.I.Joe Universe (which was revisted by Capcom back in the day in their official blog site)! So imagine the likes of Guile, Ryu, and Blanka working with the Joes to fight M. Bison and his army Shadaloo teaming up with Cobra… Now that sounded pretty at the onset given how far the games were to these pieces of plastic. The commercial didn’t help matters either and it looked like they were trying to make both genres blend together when they shouldn’t have. But now we “Flash Kick” forward to the 21st century, and now an actual Street Fighter X G.I. Joe comic is actually happening! The idea isn’t silly anymore, and one has to wonder who the creative team will be and what stories will happen. 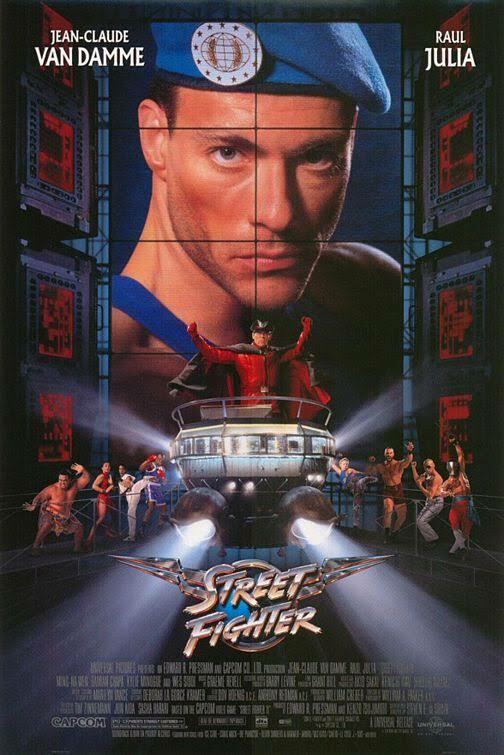 Suddenly, Jean-Claude Van Damme’s “Street Fighter: The Movie” looks like a precursor to things minus the campy dialogue. Street Fighter X G.I. Joe will happen sometime in 2016!